This is a simple, personal post – tomorrow I’m going to head up north to watch my niece perform in her school’s production of the Wizard of Oz. 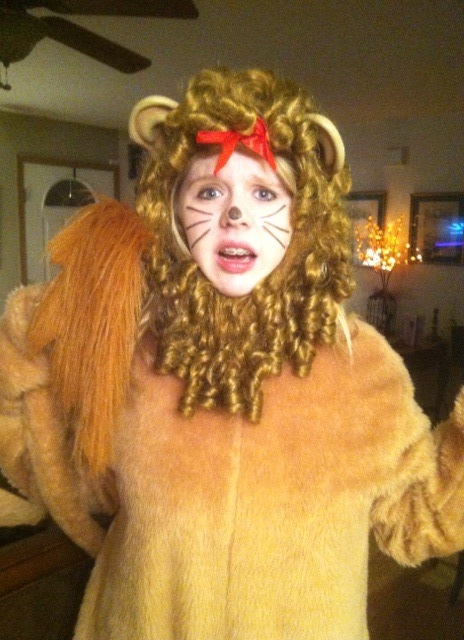 Molly landed the most excellent role of the Cowardly Lion (Dorothy wannabes step aside) and I have no doubt that she will do all of her ham-bone auntie’s proud with her interpretation of this classic character. I cannot wait to be in the audience to see her shine – this kid can act and sing – no jive from the God-mother here. Break a leg Molly – I’ll be the beaming auntie in the audience nudging your mom every time we see you on stage, and smiling my guts out!